Here at The OakLeaf Golf Complex we welcome our visitors and members with the same warm welcome. With an immaculate 18 hole course, floodlit driving range and great hospitality, we’re confident that you will enjoy your visit! Societies, visiting parties and corporate groups are very welcome at the Oakleaf. We can accommodate groups of any size and we have a number of flexible packages on offer to ensure you have a great day with us. Visiting parties are well catered for with several competitive options to choose from. 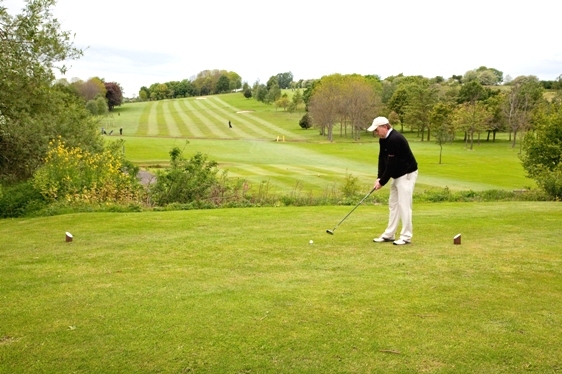 The Oakleaf Golf Complex was originally developed by the Aycliffe Development Corporation in the early 1970s on land that had previously been used for agriculture. It was originally a 9 hole course with no driving range or golf shop. There was a slot machine in which golfers put their green fees. Facilities have been improved and updated since then of course. Now it ranks highly among the municipal golf courses in the north east that you’d be hard pressed to tell apart from a private members’ club. The heart of the Complex is a nice parkland 18-hole pay-and-play, which, though on the short side at 5169 yards off the yellow tees, is immaculate and an excellent test of golf whatever your ability – though you can make it more of test by adding in some of the white tees and composing your own lay-out. Clearly, a course this size favours the shorter hitter. Indeed, with a length of 4,655, the Oakleaf is perfect for women and junior players. 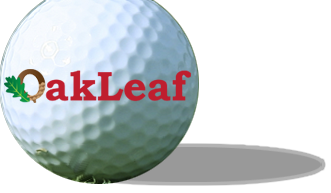 Oakleaf, with over 500 season ticket holders, is a thriving course in its own right and with the added benefit of a big floodlit driving range, good pro shop that caters for all abilities and budgets, nice lockers and very good practice areas. The facilities here are first class and the length of the course means it’s not daunting for beginners and intermediates, though better players will also find it a fair test too. Add all that together and you can see that Oakleaf is the perfect place to learn how to play or improve your game. As for the Course, the three full-time greenstaff do an excellent job. It boasts a fine parkland setting across a series of smallish rolling hills with nice rural views in places. The greens are in very good condition and play very true while the fairways are really lovely and well defined with fairly extensive areas of established woodland and more recently planted areas. There’s a fair bit of sand about but the bunkers tend to be fairly flat.